Phil Buytendorp was born in Manitoba of Dutch parents and belongs to several generations of respected artists. He is an accomplished outdoorsman with a deep appreciation and love of the natural environment. 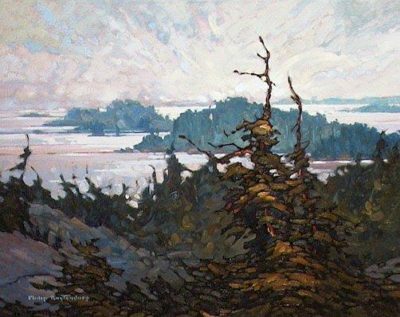 Phil obtained an apprenticeship in art under his father and his work takes great inspiration from the Group of Seven. 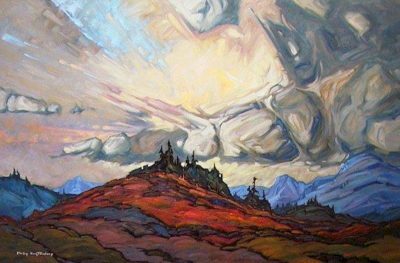 For the past 14 years, Phil has lived in British Columbia, spending as much time as he can on the West Coast, where he is often inspired by the constantly changing moods of ocean and sky. He also explores other themes. 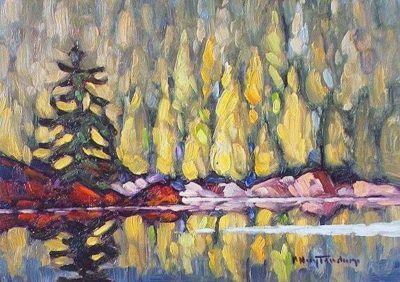 For example, this show will include a small but exciting selection of work from his very recent painting trip to Algonquin Park in Ontario.